Open Daily Sun-Thurs 11:00am-10:00pm and Fri-Sat 11:00am-11pm. Join us for Happy Hour 3-6pm and 9-close! his location opened in October 2012 at the Valley Mall in Union Gap WA. 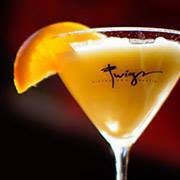 Located in the heart of Yakima’s retail district, Twigs will be a unique fit nestled in the corner of the mall next to Sears. For those enjoying an afternoon of shopping, business luncheons, or a night out Twigs will have a something for everyone in the Yakima Valley. The bar features our signature wall of liquor that displays a variety of spirits. The dining area is a welcoming atmosphere that is made up of both booths and tables. It features a delightful fireplace, modern décor and eccentric lighting. We have an area that will accommodate large parties up to 25 people. Our patio is furnished with heat lamps to keep you warm on those cool nights of early spring through late fall.